Synopsis: Ove (pronounced OH-veh) is a solid and practical old man who just wants people to follow the rules and to leave him alone. So when his new neighbours drive up on his lawn, destroy his mailbox, and ruin his garden, he is understandably upset. Day after day his plans are interrupted by neighbourhood concerns, no matter how much he tries to get away from it all. As someone who grew up with a step-father very much like Ove, and who is now married to another man of the same type, this book hit me hard. These are old-school, dependable men who would rather build a bookshelf than read a book. They have a strong belief in what is right and wrong, and stick to that belief in the face of all opposition. They don’t express themselves well in words, and aren’t terribly romantic, but will show how much they care through their daily actions. 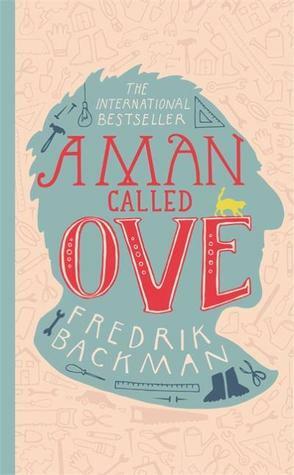 Backman writes vivid characters that you can’t help laughing and crying with as the events of this book unfold. There are so many scenes that had me laughing out loud as poor old Ove is roped into yet another situation that he wants nothing to do with. My absolute favourite part of Ove’s character is that he only truly dislikes people for their incompetence. He isn’t sexist, racist, ableist, or homophobic; he just cares that you can do as much as you can, in the correct way. I can’t wait to read Backman’s upcoming book My Grandmother Asked Me to Tell You She’s Sorry. I hope it will be just as good as this one. I’ll definitely be giving this book as a gift and recommending it to people looking for a touching and funny read.